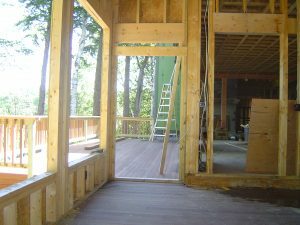 When soliciting bids for a home remodeling contract it is wise to obtain at least three bids. 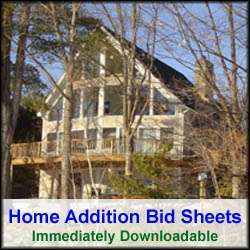 This way you can compare the specifics of each contractor bid with one another to determine the best one for your home remodeling project. Also, all home remodeling contractor bids should be in writing. Never accept a verbal bid from a contractor, as it is a recipe for disaster down the road. In general it is best to go with bids priced in the middle. Low bids could leave you with shoddy workmanship, and high bids could mean you are being price gouged. This doesn’t mean that you should accept the middle priced contractor bid at face value. It simply means that this is the contractor you may want to engage in with home remodeling contract negotiations. During the negotiations, question the contractor on specific material and labor costs if you have concerns. Don’t raise your questions in an arguable or threatening tone. Simply ask the questions in a courteous manner. When analyzing the home remodeling contractor bids, make sure to confirm that they comply with the home remodeling specifications, and all local and national building codes. Also, check that all materials are clearly specified. Note where you see disparities or have questions so that you can raise these questions with the contractor when negotiating the home remodeling contract. Also check the contract for a “date of signing” section, start and completion dates, and a list of any subcontractors (names and contact information) that may be used in performing the home remodeling work being negotiated in the contract. You may want to include penalty clauses in the contract if the work is not completed by the specified date in the home remodeling contractor bid. Take your time reviewing contractor bids. You should not be expected to sign immediately or on the spot. Take the time to fully review it before signing. Also, you may want to take it to your lawyer for review. Signing a contract before you completely understand all the terms and conditions can cost you a fortune and disappointment down the road. When reviewing the contractor proposals, make sure there is language in them for dealing with change orders. Change orders can be very costly to you so it is important the terms and conditions for making change orders are clearly defined. Feel free, as part of the home remodeling contract negotiations, to challenge the change order process and associated fees proposed by the contractor. Again, do not accept any verbal statements on dealing with change orders. Guaranteed, both you and the contractor will pay for this common mistake down the road. Another often forgotten clause in a home remodeling contract is site cleanup. Make sure as part of the home remodeling contract negotiations to include who is responsible for site cleanup, and the frequency of it, during the life of the home construction project. Also, make sure that there is warranty and liability language in the contract that protects you from damages or injuries on the job site. Finally, as an alternative to signing a home remodeling contractor’s contract, you may want to turn the tables and have the contractor sign yours, preferably produced via your lawyer. You can make references to the contractor quote in your contract, but at least the Ts & Cs (Terms and Conditions) are generated by you or your lawyer. This should give you more protection against the contractor if in the event he/she fails to perform the work as specified. By following the process of negotiating a home remodeling contract as described, you can help to protect your investment and improve the chances of getting your home remodeling project completed on time and budget, and to your satisfaction.